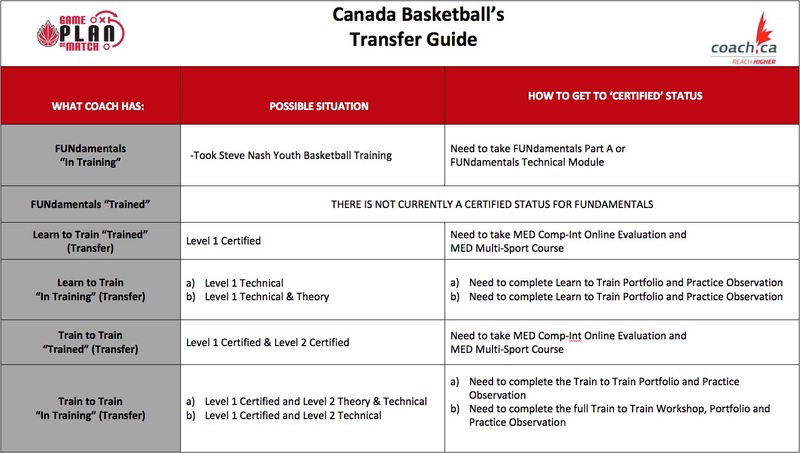 Starting in 2015, in order for NCCP coaches to maintain their certified status, they are required to obtain Professional Development (PD) points over a 4 year period. PD points can be earned through a multitude of activities including: Coach School, Basketball B.C. and Canada Basketball Clinics, Conferences and Workshops, Coaches Assoc. of Can. eLearning modules, NCCP workshops, Coach Mentorship programs, and Active Coaching. In most cases coaches are already earning their required PD points. Maintenance of Certification Status simply requires tracking these points. Most events are listed on Game Plan and once completed the points are awarded to registered participants. 1 hr. Event – 1 pt. 2 hr. event – 2 pts. 3 + hr. Event - 3 pts. This applies to coaching at any level (school, club, provincial organization etc). Currently there is a self-report button on The Locker that coaches can use. That feature will be added to Game Plan in the upcoming months.